Play Like a Girl tells the KGSA story through Abdul’s voice and vision and the stories of key staff and students. It is written by Ellie Roscher who spent 2 summers doing research at KGSA and several years writing this book. Incredible stories of determination and heart! Author Ellie Roscher illuminates through a compilation of engaging stories how sports can play an important role in social change, how educating and supporting girls is one of the most important and unfinished works of the 21st century, and the critical role men can play in empowering girls. Play Like a Girl is about particular people who will charm you and show how desperate problems can be overcome. In that sense it is heartening and heart-warming. Through these stories we come to recognize how the human spirit will prevail. 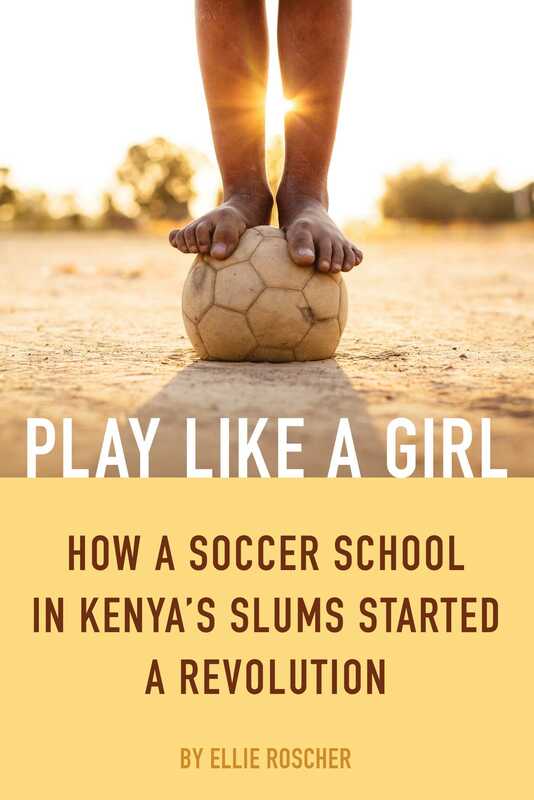 Play Like a Girl is a riveting account of the founding of Kibera Girls Soccer Academy and the charismatic, dedicated and inquisitive personality at the center of it - Abdul Kassim– who made it all possible. The inhabitants of Africa’s largest urban slum are often depicted with broad, incomplete brush strokes but Play Like a Girl gives us history and nuance instead. We learn the history of Kibera, its position within the larger Nairobi ecosystem, the complex list of issues that affect a girl’s ability to stay in school and about each of the students and teachers who gave so much to make KGSA a reality. Play Like a Girl is a moving journey into the heart and mind of Abdul Kassim, an extraordinary visionary committed to educating girls in the most impoverished area of Kenya. Author Ellie Roscher weaves a raw but uplifting story of the daily struggles, sacrifice, perseverance and triumphs at the Kibera Girls Soccer Academy. This beautifully written tribute to Kassim and his endearing students demonstrates the power of one person to transform a life and an entire community, one young girl at a time. Inspiring to know there are many in this world dedicated to working selflessly to support others based on their own personal convictions. Kudos to the program and the book outlining the journey, well done.